So, this is different! Instead of trying to catch the bad guys, rescueing a princess or just saving the planet, YOU are the bad guy in this game. Yes, you are a robbber, a thug, stealing gold from a mine. This approach gives the game some special edge, making it a little more exciting. 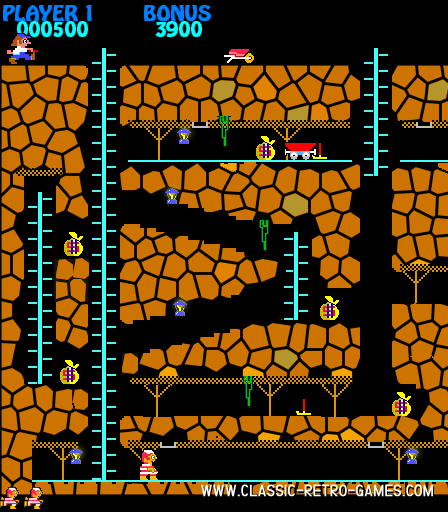 You have probably played this game on your Commodore feeling the excitement of getting away with stealing bags of gold. You can enjoy this retro game again! Just download this free Windows remake by Crozza. Currently rated: 4.4 / 5 stars by 69 gamers.